Hi my friends, I wish you all had a good start into the New Year 2016! I hope you have recovered during the holidays and start the new chapter of our lives with a lot of energy, power and ambition! One of my personal intentions for this new year is to take better care of my skin. 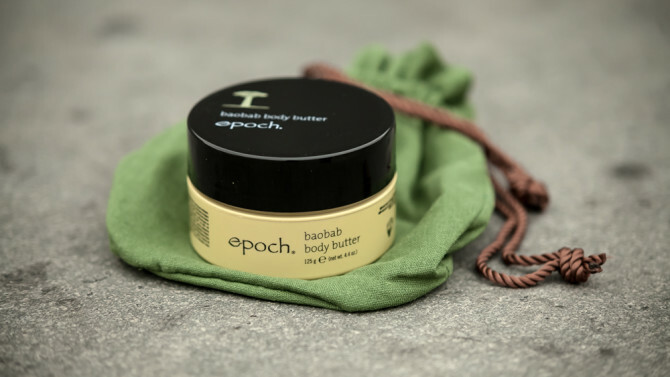 For this reason, I have begun to use the Epoch Baobab Body Butter. Honestly I have to admit that the ethnobotanical ingredients are very good for my dry skin and adds moisture. The extract from the Baobab Fruit helps to smooth dry skin, improves the Complexion and nourishes the skin. The macadamia nut oil provides a bit of extra moisture, which is similar to the skin sebum and can be very easily absorbed by the skin. The vanilla smell is delicious :) Furthermore every sale support the lives of people in Malawi with humanitarian campaigns. See you soon guys!